While the Estate Gin will still be produced, the new Bully Boy Gin represents the distillery’s greater reach and production capacity. Interestingly, it is made with a sugarcane base rather than the more typical neutral grain spirits. The gin has juniper, pepper, and citrus on the nose. It kicks off with bright lemon and more restrained juniper, and has a lighter body that seems to just float above the palate. The early citrus notes are joined by mouth-coating honey and juicy blueberry at the center. The finish sees a tart grapefruit note emerge, followed by a re-activation of juniper and a sudden spike of pepper. 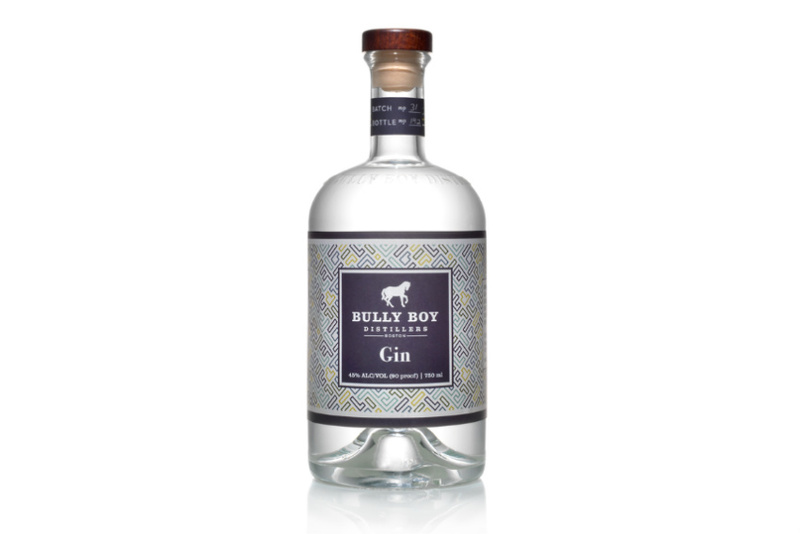 Bully Boy Gin occupies a middle ground between being juniper-forward and fruity. It’s light enough in body and bright enough in character to entice those who may be turned off by a London-style gin, yet provides enough of a juniper-and-spice punch (particularly at the end) to ensure that it’s not a lightweight. It makes a solid Gin and Tonic, providing just enough juniper with a pronounced grapefruit flavor.